A story set in ancient India. A wise man refuses a King's reward, when the King insists on a reward, the wise man asks for a grain of rice for each square on the King's chessboard, doubling the amount he receives each day. Will all the rice in the King's granary suffice? What happens when you double a number i.e. add a number to itself and keep doubling it again and again? 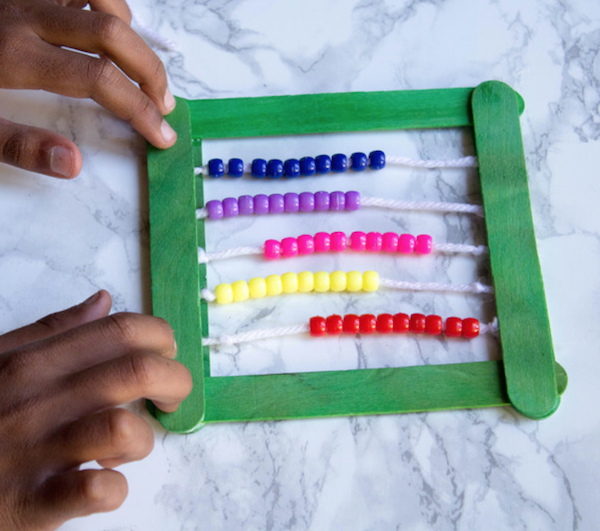 Play with numbers easily with your own DIY Abacus to build Number sense - an intuitive understanding of numbers.